← What’s the Good Word? When an artist began painting pictures of horses and bison on the walls of his cave during the Paleolithic era, reaction was probably mixed. Some cavemen preferred the more traditional depictions of animals, scratched into the dirt around the campfire. Others were captivated by this new approach — “It’s very modern,” they told each other. Using paint on walls didn’t stay modern very long; the next new thing was decorating one’s cave with flocked wallpaper. OK, that part isn’t true, but you get my point: “modern” is usually construed to mean up-to-date; characteristic of present time; contemporary. The general idea is that something modern is relatively new, and therefore good. That’s until something even better is introduced and becomes the new version of modern. In the 1400s, the Renaissance was modern art — it was quite different than medieval art. A couple of centuries later, Caravaggio and other Baroque artists came along with their untraditional approaches; like that cave painter they scandalized some critics, but made others say, “Wow, that’s cool.” It was the modern art of the 17th century. Until it was Rococo’s turn to be modern, and so on. As you are undoubtedly aware, though, there are a number of art museums around the world that refer to their collections as modern. The best-known is the Museum of Modern Art (MoMA) in New York City, which has several paintings that I happen to know are over a hundred years old. So what’s the deal with that? Shouldn’t they throw out all that old stuff and get art that’s more modern? Well, no. That’s because art historians have applied the designation Modern to art in a way that doesn’t exactly correspond to the dictionary definition of modern. To them, it generally means art created between the mid-19th century and 1970 or so. Scholars have differing opinions on when Modern Art began: Some say 1863, with Edouard Manet’s scandalous painting Dejeuner sur l’Herbe. Others point to the Impressionists (Monet, Renoir, Degas) or the Post-Impressionists (Gauguin, van Gogh, Cezanne) as being the founders of Modern Art. 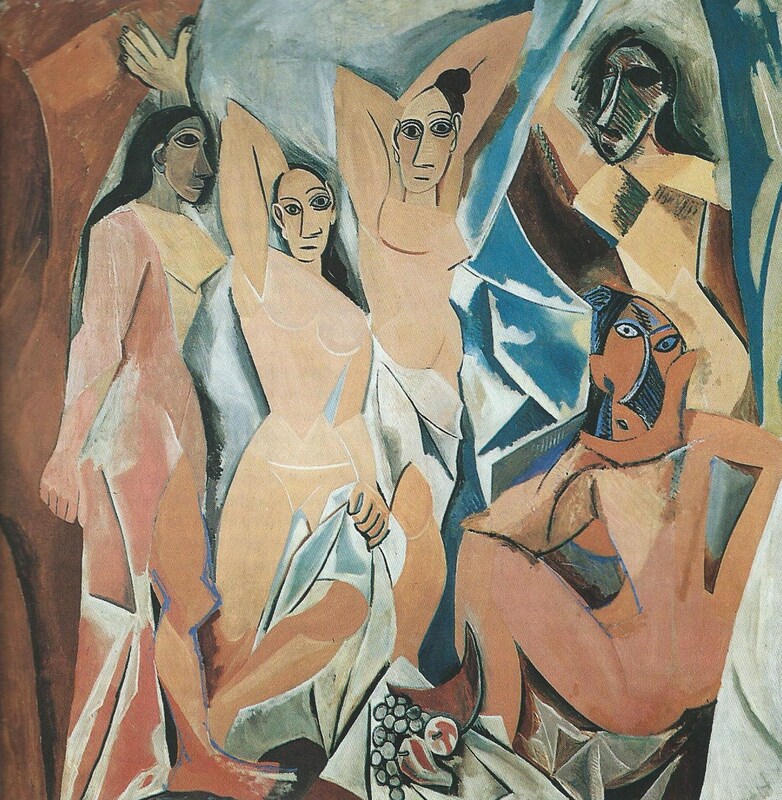 They all agree that by the time Pablo Picasso was producing paintings that looked like broken pottery, the era of Modern Art was upon us. The 20th century brought not only Cubism, but Fauvism, Surrealism, Abstract Expressionism and so many other “ism”s that critics and historians threw up their hands and lumped them all together as Modern Art. What many of those movements have in common is a return to a less refined, more primitive style — not unlike the cave paintings of long ago. The very old became new again. After Modern Art came Contemporary Art, which is the phase we’re in now. It dates back to approximately a month after your birthday in 1983, depending on which scholar’s opinion you choose to accept. The dictionary says that contemporary means the present time. So what comes next? What will we call art that’s produced when Contemporary is no longer in the present? I say we hit the reset button, and call art created after New Year’s Eve “Prehistoric”. This entry was posted in Art and tagged H.H. Arnason, Manet, Modern Art, Picasso. Bookmark the permalink. My guess is that the term Newfangled Art won’t cut it in art circles. Probably not, Herb. And “Fresh-As-A-Daisy Art” would also send a collective shudder through the artistic community.